The Floating City is a multi-media production that explores the place within, a place of feeling stuck or in transition, the place between this world and the world in our heads. It is a surreal exploration of shifting environments, creating a moving landscape of time and relationships inspired by the writings of Haruki Murakami. 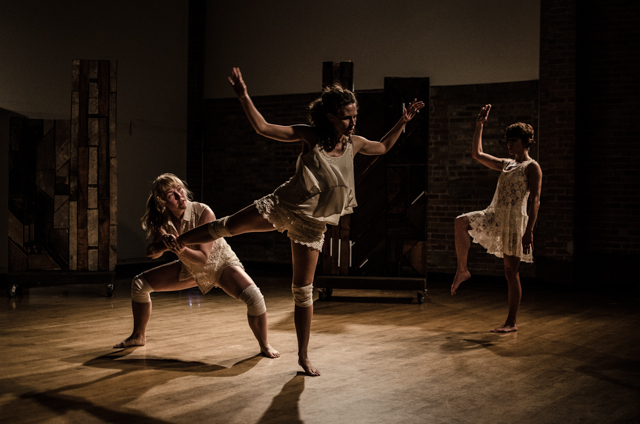 The work is inspired by the idea of environments and creating a dance landscape to tell a story. 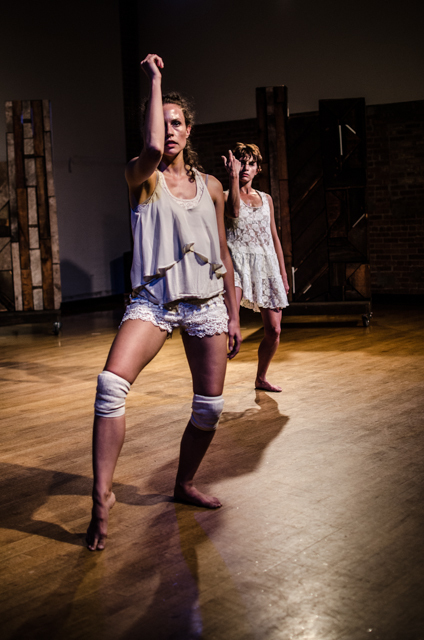 I wanted to develop a dance piece like a play, in a set with video as an added depth to the storyline. This place will push us forward in our relationships, sometimes abstractly and sometimes in determining our physical place or landscape. Incorporating the storytelling techniques in Murakami’s work as a foundation for our explorations. The Floating City is abstract yet layered with emotional undertones and the audience can determine their own story within our story. 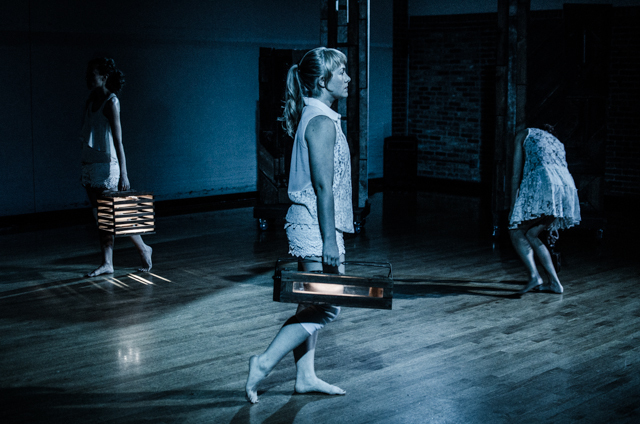 The Floating City was created with support from the Chicago DanceMakers Forum Lab Artist award and the City of Chicago Department of Cultural Affairs and Special Events In The Works Residency.